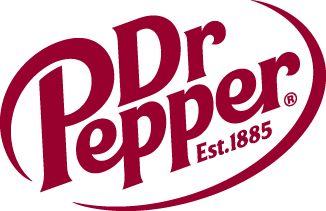 Dr Pepper Dallas Cup announces the return of the Sun Kings | Dallas Cup, Inc.
Dallas, Texas – Dr Pepper Dallas Cup announces the return of the “Sun kings“, 2011 Japanese league champions Kashiwa Reysol will send the U18 Academy team to the 2013 Gordon Jago Super Group. Kashiwa Reysol will be making their second straight appearance in the Gordon Jago Super Group after impressing in last season’s tournament, garnering international attention for their 5-3 upset of the 2012 English Premier League U18 Champion side Everton FC. Kashiwa Reysol U-18’s are the eighth confirmed Super Group team joining Club América (Mexico), Fulham FC (England), Fluminense (Brazil), Coritiba FC (Brazil), Eintracht Frankfurt (Germany), Aalborg BK (Denmark) and Tigres UANL (Mexico). Tatsuma Yoshida Team Director: First of all, I feel so glad and honored to again participate in Dallas Cup 2013. Last tournament, we failed to go through the final stage, but our performance was admired by coaches for ”beautiful” and “future” football. We will be ready and confident of triumphing as the first Asian club in addition to producing a great performance. We are very appreciative to return to Dallas.